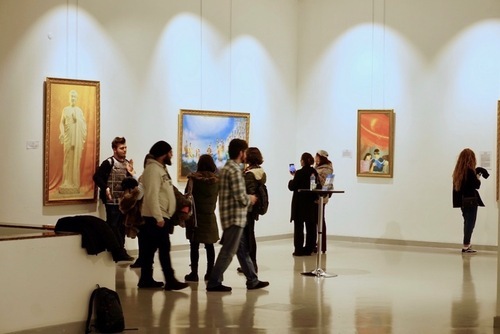 The Art of Zhen-Shan-Ren International Exhibition was held at the Çankaya Municipality Contemporary Arts Centre in Ankara, Turkey, on December 24, 2018 through January 2, 2019. The paintings had a big impact on visitors, many of whom recorded their impressions in the exhibition guestbook. A video of the exhibition was shown during the opening event on December 24. Many reporters from the local media attended and published news of the exhibition. Serhat Taş shared his impressions of the artworks. 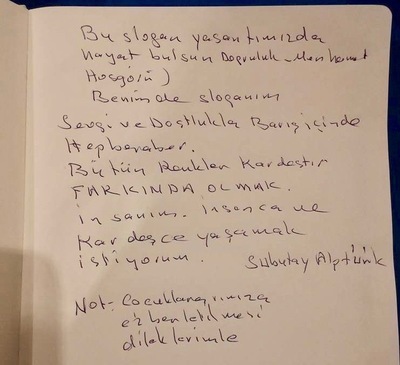 Subutay Alptürk’s comments in the guestbook. A visitor who came to the exhibition by chance wrote that she was very impressed by the artworks. Many journalists visited the exhibition from the opening onward. Sultan Yıldırım, who asked questions about the exhibition and about Falun Dafa, published “Art Festival at the Contemporary Arts Center” in a local newspaper. A journalist from a foreign media interviewed practitioners and gathered detailed information about the exhibition. He filmed a short video for his media’s online newspaper. In the video, he presented a great deal of information about the persecution of Falun Dafa practitioners in China. Local media reported on the exhibition. Hüseyin Bey tried the Falun Dafa exercises during the exhibition and said that they helped him relax, and that he enjoyed them very much. People from ages 7 to 70 came to see the artworks. Sometimes, while their parents were studying the pictures, the children learned the exercises. 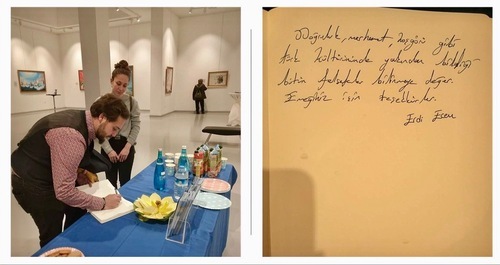 Kıymednur and Aslı, students in Ankara, stayed and visited with practitioners after viewing the artworks, and helped make origami lotus flowers as gifts for other visitors. 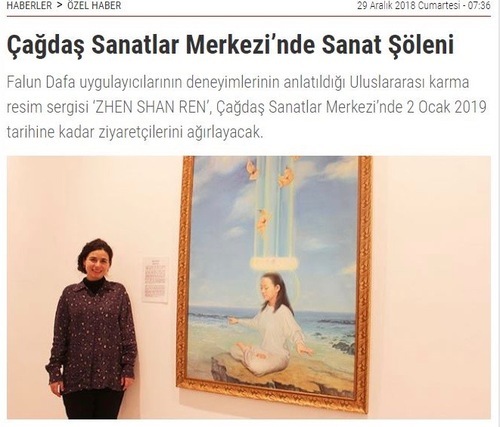 After a long absence, The Art of Zhen-Shan-Ren International Exhibition was held again in Ankara, making a big impact on those who viewed the works. 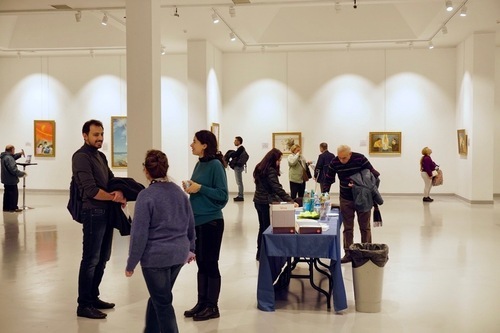 The exhibition brings together the beauty of Falun Dafa meditation, Falun Dafa practitioners’ experiences of being persecuted in China, and their commitment to sharing the principles of the practice with the people of Ankara. Many people showed their support for Falun Dafa by signing the petition demanding the prosecution of former Chinese President Jiang Zemin, who initiated the persecution in 1999.